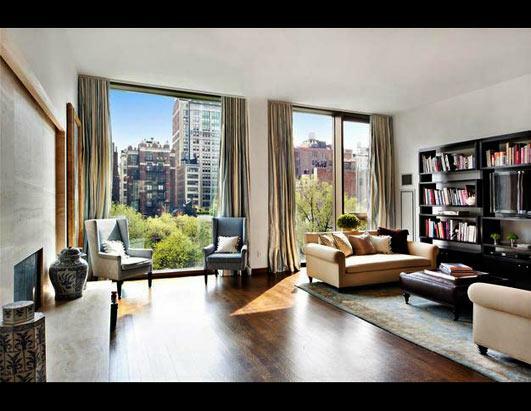 The former 'Friends' star purchased the three-bedroom, 2,873 square foot apartment in New York's exclusive Gramercy Park area and the building includes perks like housekeeping, room and butler service and a membership to the luxury David Barton gym. According to The Hollywood Reporter, Jennifer's new home is the only unit in the building that looks out on Gramercy Park from the master bedroom. This is not the only New York property Jennifer, 42, owns. In April, the 'Horrible Bosses' actress purchased the 17th and 18th floors of an apartment building in Manhattan for more than $7 million. And in August, Jennifer and boyfriend Justin Theroux moved into a two-bedroom home. The couple are renting the small $3 million property in Hollywood after the Jennifer sold her lavish Beverly Hills mansion for $38 million. A source said: "One bedroom is the master and the other is currently furnished as a guest room. "It is a really romantic house with great views and a warm feeling in every room. If they decide they like it, it's also for sale." Jennifer and Justin's new home boasts hardwood floors, vaulted ceilings, a pool, hidden garden and a garage which has been converted into a family room. The source added: "They're really excited about it."